It was a stupid, pointless thing, anyway, to try and make people love you. Everyone was alone. We were bone alone and we died alone. Whatever we did in between was nothing but a series of attempts to stave off the darkness we knew was always waiting for us. 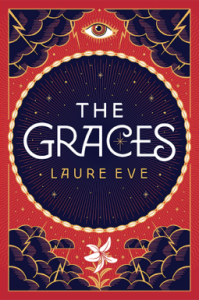 Laure Eve’s The Graces will appeal to a younger set of YA readers. I think I was a bit too old to find most of this novel entirely believable, but it’s supposed to be, in a way, a little out there and a little fantastic. River meets a family (the Graces) in her new town and, after hearing the rumors about them, decides (obsessively) that she wants to get to know them. After getting to know Summer, River becomes obsessed with trying to be one of the Graces. I don’t often read much contemporary YA, mostly because I find myself unable to relate to many of the high school situations, hierarchies, and dramas because I was homeschooled, and this is probably one of the reasons why I failed to really connect with the novel. The characters often are too flat or too melodramatic. It tries to be “edgy” without much depth. 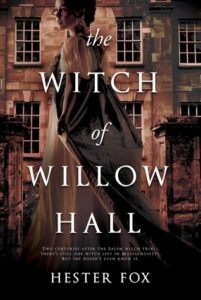 But that might be because we’re seeing it through River, the “edgy,” melodramatic teen girl obsessed with the Graces, rumored to be witches, and Fenrin Grace, the boy everyone wants. 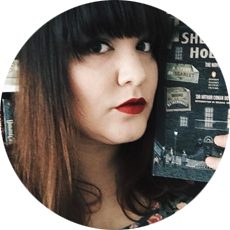 As the novel unfolds, we learn that River’s obsessions and behavior have severe consequences in her past and present, and she ultimately has to face what she does. Some of the ideas I liked in this novel were that there is something to be said for intention and that there needs to be truth in that intention and that bisexuality (while not named directly) is brought up and treated relatively well in a YA novel by the younger set of characters. The Graces reads almost like a melodramatic eighties teen film but with more melodrama, if that is even plausible because let’s be real. Teen films from the eighties were sometimes over the top. It wants to be Heathers with witches but it fails to meet the Gothic complexities it wants to have. But The Graces is fast-paced and easy to read and will appeal to readers who enjoy a high school drama with a taste of the paranormal. This book was provided to me by Netgalley in exchange for an honest review. All opinions are my own.